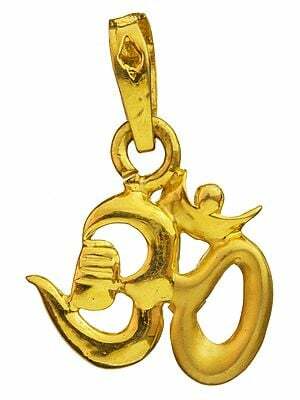 Nothing like a statement chakra pendant to complete your jewellery. According to yoga science, there are seven chakras of the human body, each at a strategic location along the spine. Depending on the nature and intensity of one's sadhana, one becomes increasingly conscious of one's chakras, each of which has its own hue and is represented by a lotus with varying number of petals. 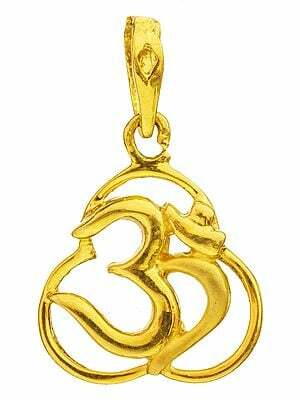 The one smithed onto this pendant is the manipoora chakra, whose colour is yellow and the lotus of which has ten petals. This explains the glittering infusion of gold into the work, and the ten loops resembling lotus petals that surround the central motif. In the yogic texts, the manipoora chakra is said to be located above the navel and is the seat of one's personal power. 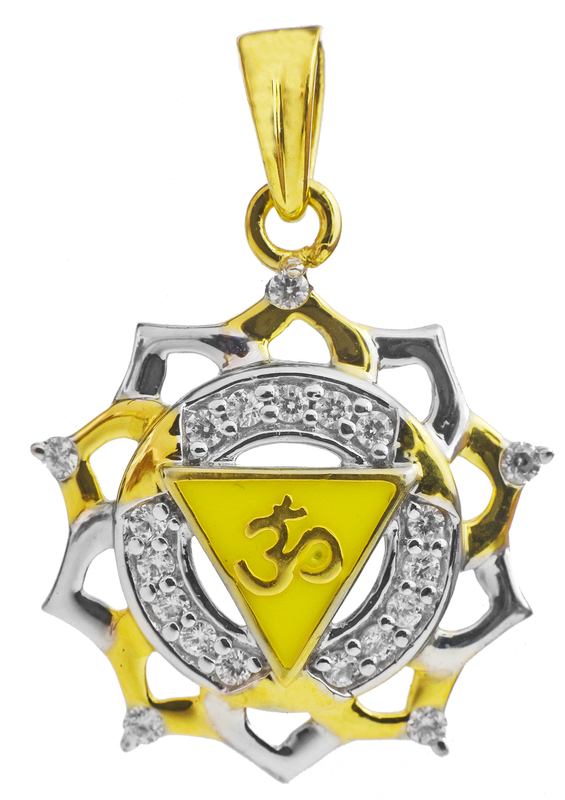 This manipoora chakra pendant has been made with a lot of care and precision. The mix of gold and silver makes this the best of both worlds, while the statement symbolism of it makes it a buy you cannot go wrong with. On the silver-coloured stone-studded pistil of the all-important lotus is an inverted equilateral triangle that houses the sacred aum syllable. The angles of the triangle infuses a bit of its golden yellow wherever they touch the pistil. 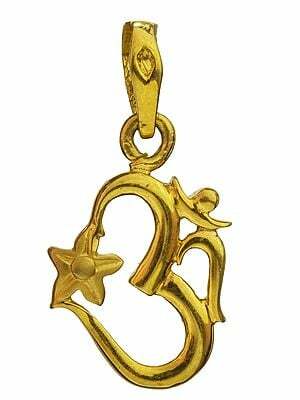 On the tips of each of the gold petals is a superbly cut stone that sets off the characteristic glitter.